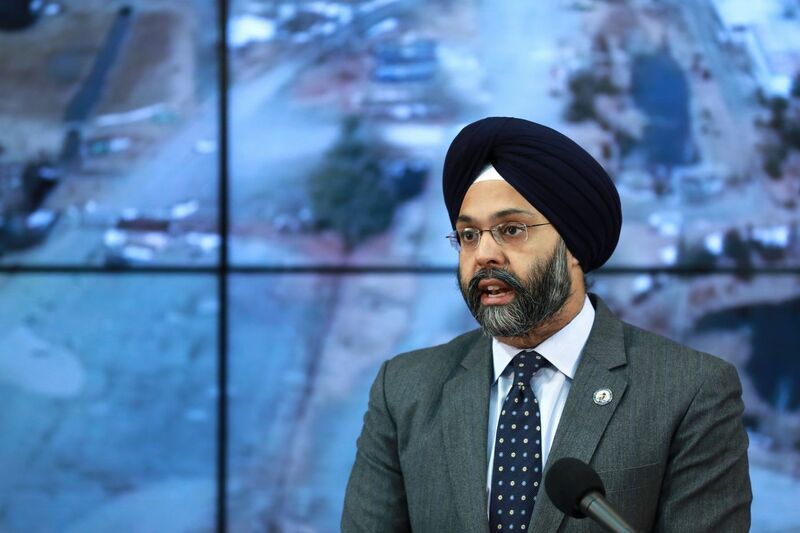 Two days after New Jersey environmental officials ordered five companies to pay what will likely be hundreds of millions to address chemical contamination caused by the discharge of PFAS compounds, the state’s attorney general sued some of the companies over cleanup. In two lawsuits filed in Superior Court, the state alleged DuPont and Chemours sent the harmful chemicals flowing into the air, water, and soil, and asked the court to force the companies to pay for investigating and restoring the contaminated sites. The same companies also discharged other dangerous substances, including lead and mercury, at two sites in Gloucester and Passaic Counties, two additional lawsuits filed Wednesday say. The various chemicals in question cause cancers and other health issues. Contamination at the sites has affected local residents — and the state alleges DuPont and its spin-off company, Chemours, knew the dangers and did not act. After talks with the state over decades, the companies’ cleanup has been inadequate, officials said. New Jersey hopes to force payment from the companies for restoring all four sites as well as for damage to natural resources. Chemours said in a statement Wednesday that the lawsuits “appear to be coming out of left field” and that the company was disappointed. DuPont and Chemours representatives said they had not seen the lawsuits early Wednesday afternoon. PFAS chemicals — per- and polyfluoroalkyl substances — have been found in drinking water, groundwater, and soil near military bases in Bucks and Montgomery Counties and near military facilities and manufacturing plants in New Jersey. At its Parlin facility in Middlesex County and at Chambers Works in Salem County, DuPont released “massive amounts” of chemicals including PFAS for decades, the attorney general alleged. The Salem County site is “one of the most contaminated sites in New Jersey,” the lawsuit said; DuPont was supposed to be cleaning up. “[I]t has recently become clear that DuPont has not been working in good faith to address the contamination,” the lawsuit alleges. “Instead, DuPont knowingly concealed the true nature of the chemicals it discharged, while simultaneously moving forward with corporate reorganization” that shifted its PFAS product lines — and liabilities — to Chemours from DuPont. On Monday, the Department of Environmental Protection directed 3M, DuPont, DowDuPont, Chemours, and Solvay to provide detailed accounts of their use of PFAS chemicals in New Jersey within 21 days. The DEP estimated the companies would be asked to fund hundreds of millions in cleanup costs. In Gloucester County, DuPont disposed of hazardous waste including TCE, aniline, benzene, and PCBs at its Repauno facility..
And at Pompton Lakes Works, Passaic County, where DuPont manufactured explosives, residents contended with contaminated private drinking wells and compromised air quality due to DuPont’s dumping of lead, mercury, TCE, and PCE.